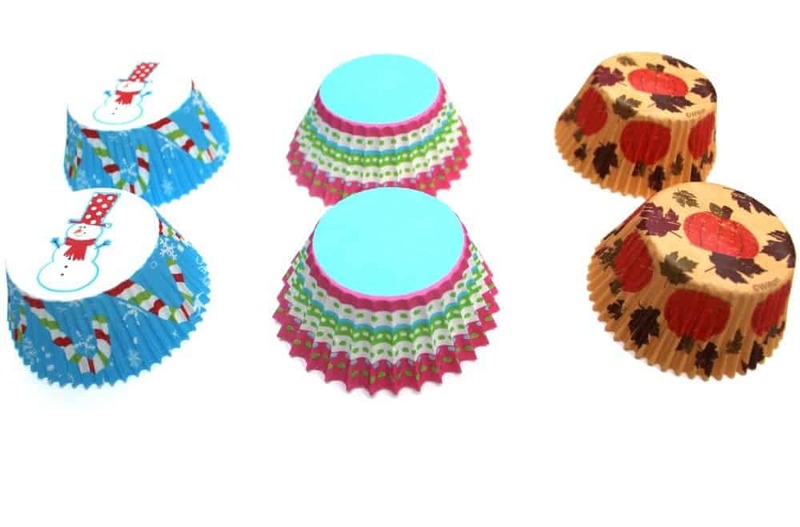 This simple early learning activity teaches pattern recognition using spare cupcake liners. Pattern recognition is such a crucial life skill, because we encounter patterns everyday. In the text we read, in math and in our everyday environments and interactions. For young learners, pattern matching is a great introduction into the vast world of patterns. The teacher in me has a very hard time throwing away useful items. 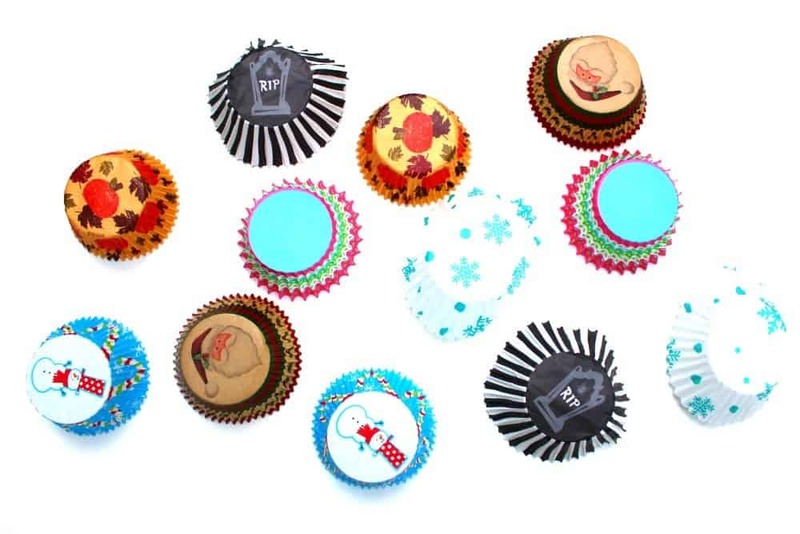 This means, I occasionally find myself with a stack of random cupcake liners from various seasons and events. Of course, I always have every intention of whipping up a mismatched batch of cupcakes or muffins, but somehow, this colorful little stack always winds up crumpled in the back of the cabinet. Finally it’s time for these forgotten wrappers to get the recognition they deserve, by becoming the feature material in this trash to treasure kids activity. It’s always a treat when you can plan activities for your kids or students that are super cheap, or even FREE! Separate each individual liner and place all the liners bottom up on a flat surface, such as a table, floor or lap tray. Then, mix up the liners so that the matching patterns are not too close to each other. Next, have your kids nest the matching liners on top of each other to complete the set. When you are finished pattern matching, the liners can also be used to practice categorization skills, by sorting them into groups of like items. For example, the kids can sort the liners by season or holiday. They can also sort them by light and dark colors or solids and patterns. Or, how about full size and mini muffin cups? The possibilities are truly endless! Happy learning! Don’t forget to check out our other awesome kids’ activities!